A number of factors come into play when choosing a web host and hosting plan among the hundreds of thousands of providers available. A careful evaluation of your website requirements and hosting service features can help identify the best (though rarely perfect) host and hosting plan for your needs. Server: Web servers are what “serve” your web pages to website visitors. This is the element that essentially “turns the lights on” and makes your site available online. Common application, operating system and database combinations can help you determine the right server for you. For example, if you have identified WordPress as the Content Management System for your site, you will need a web host that supports PHP 5.4 or greater, MySQL and includes the mod_rewrite Apache module. This gives you two options, LAMP or WAMP. However, unless you need a windows server to run ASP scripts, the Linux server will be less costly and complex to maintain. Databases: Depending on the server chosen, a web host might offer MSSQL or MySQL databases. Your website applications and content management system requirements will determine the type of database you need the host to offer. FTP access: While many web hosts offer a “file manager” to upload and manage website files, FTP (File Transfer Protocol) is still an important feature used for migrating files to and from the hosting server. FTP allows you to bulk upload a large number of files over the Internet rather than one at a time, making it a quick and easy way to upload the files that comprise your website. Additionally, FTP does not place file size limits on uploads unlike some file managers that limit file sizes. Multiple domains and subdomains: Web hosts often offer different hosting plans. One of the differences in these plans is often the ability to host multiple domains or subdomains within one hosting environment. If you intend to have multiple domains or subdomains, for example www.yourdomain.com, shop.yourdomain.com, info.yourdomain.com, you will need to select a webhost that offers a plan with this feature. Bandwidth and Disk space: Many web hosts offer “unlimited” disk space and bandwidth; however, “unlimited” doesn’t always mean what you think it means. The Site Wizard points out that unlimited might mean, “you can add as much content as you want, but not all at once“. Additionally, while you might be allowed unlimited disk space, you might not be allowed unlimited RAM. RAM, like on your computer, is needed to run various processes. The more processes your website needs to run, the more RAM you will need. That means your site could push RAM limits and be penalized or experience performance issues. In the case of unlimited bandwidth or data transfer, hosts still monitor resource usage. In shared hosting environments, the host limits your portion of the unlimited amount. This can occur if some other site in the shared environment is utilizing a large portion of the unlimited bandwidth. Often there are additional statements on a host’s terms that describe unlimited bandwidth. Your site might have to qualify for unlimited bandwidth or you might be allowed unlimited bandwidth if you do not offer certain file types or file sizes. Be cautious when evaluating bandwidth, disk space and other resource limits. By and large, unlimited usually doesn’t mean unlimited. PHP or other special software: PHP is a common programming language that provides you the ability to create dynamic websites and perform complicated operations such as on-site search and form-submission processing. PHP is also necessary to run open-source content management systems and e-commerce engines such as WordPress, Joomla and Magento. Speed and Reliability: Internet users want instant gratification and reliability. They want websites to load fast and want them always available. As as website owner, you want to satisfy that need. 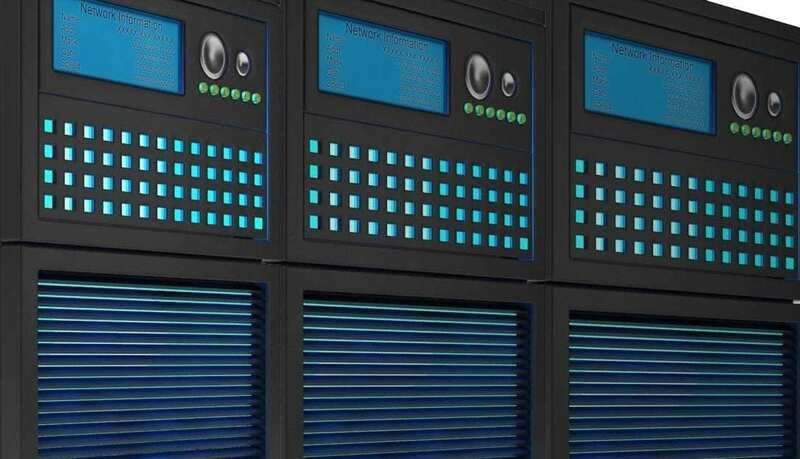 Look for hosts with 99.5% uptime and hosts who use SSDs (Solid-State Drives) and CDNs (Content Delivery Networks), which can improve website load times. Technical support: Does the host offer support 24/7/365? What kind of support do they offer: ticket system, live chat, and/or telephone? Look for a host that has a support system that can assist you at any time and can do so using the communication method you prefer. Email accounts and webmail access: While some businesses use email servers and exchange servers apart from their web hosting, you might find you prefer to have your email provided by your web host. Many hosts will offer POP3/IMAP email and offer a specific number of mailboxes with their plans. You may need to purchase more mailboxes depending on the size of your organization. E-commerce support (SSL, Dedicated IP): If you plan on using an e-commerce system and accept payments through your website, you will also need an SSL Certificate and dedicated IP. Some plans may come with a shared SSL Certificate which will use the host’s domain name instead of your website domain. These are used for private secure connections that are not used by the general public, such as logging into the administrator portion of your site. However for collecting payments or other information from the public, you will need a Private SSL, which is often offered in higher-tier packages. Control Panel: Commonly referred to as a cPanel, the control panel allows you to manage aspects of your site such as setting up databases, creating email address, changing passwords, modifying files, installing software and more. This allows you to make your own changes rather than waiting for technical support to make changes for you and sometimes charging you for those changes. Cron jobs: Cron jobs are scheduled tasks for your site. If you are running a CMS like Drupal or other software that requires a background program to run at certain times, you will need to be able to schedule Cron jobs. Htaccess: Htaccess is a configuration file that allows you to modify your site to create additional security, process redirect URLs and custom error pages, block specific traffic and create password protection. Many content management systems come with their own required htaccess files. Site backups: Sometimes, things go wrong, either because of a malicious attack or corrupt data, and you’re forced to restore your website to a previous version. If you can’t remember to do your own daily backup, or don’t want to take the time, it’s good to have a host that does both file and database backups regularly and stores them for extended periods of time. Price: While price is often a factor, it should not be the most important factor in choosing a web host. You often get what you pay for. Access: An adjacent concern to the technical aspects of your hosting is access to the hosting. Many times, a web developer or designer will offer to set up hosting for you. This is a good use of their services, as they will likely have more technical knowledge of your needs. However, do your best to make sure that any hosting is set up in your name and you have login credentials to access the service. If the provider offers to host the site for you themselves, understand that you will be connected to this company for the long term and you may be beholden to their services. If they are on a shared cPanel environment, they will not be able to grant access to your hosting environment to another company or provider. Many web hosts offer very similar plans at similar prices. Make sure you do a careful evaluation of your needs before selecting a host. Look past the marketing and name brands and choose what works for you. When in doubt, look at customer reviews and get the advice of an expert. Savoir Faire has specific expertise in sourcing hosting providers that will match the needs of an organization in reliability, security and features. Contact us for more information or use the comments to ask us your questions.